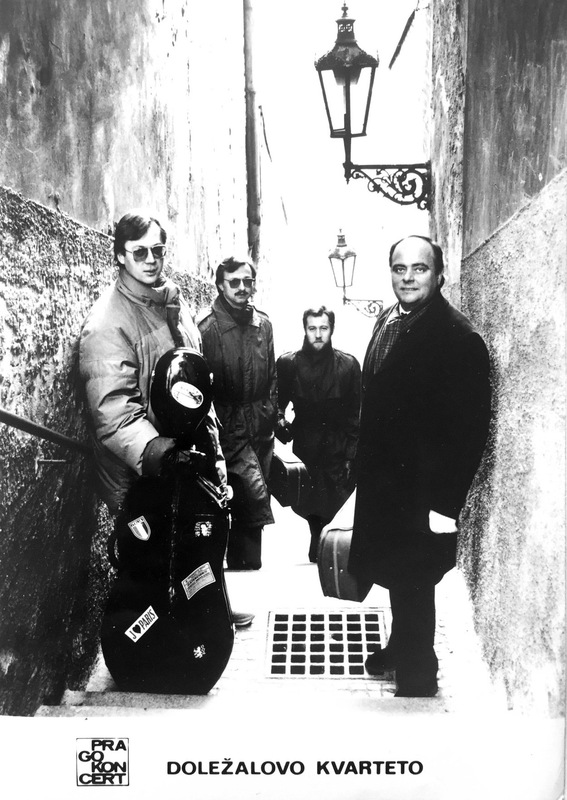 The Dolezal Quartet was founded in June 1972 by violist Karel Dolezal. At the beginning of its career, the ensemble studied under prof. Lubomir Kostecky and prof. Antonin Kohout from the Smetana Quartet. In addition, they completed a masterclass of prof. Raphael Hyllier, the founding violist of the Juilliard Quartet, in Weimar in 1975. The Quartet began its successful career early on, having received a number of domestic and international awards. Highlights include: the Laureate Title and the Oleg Podgorny Prize for the most successful youngest Czech candidate in the entire competition at Pra-gue Spring International Music Competition (1975); 2nd Prize at Bordeaux international string quartet competition (1977); and Czech Chamber Music Society Award of Czech Philharmonic (1989). They also gained public recognition for their recordings of string quartets by Antonin Dvo-rak (The Best Record of the Month, Neue Zeitschrift für Musik, Germany, 1982) and Leos Janacek (Diapason d’Or, France, 1985; and the Best Record of the Year, USA, 1996). Over the years, the Quartet has performed more than 2,000 concerts and made an ap-pearance on a number prestigious international festivals worldwide. They have also pro-duced a dozen of recordings for both television and radio broadcasters such as Radio New York Times and Radio Paris. They recorded for radio stations in Germany, Austria, and more. Among its most notable performances would be their joint concerts with pianist Pavel Ste-pan (Tunisia, 1977), bass player Frantisek Posta and violist Jurij Basmet (Finland, 1982), and cellist Mischa Maisky (France, 1984). 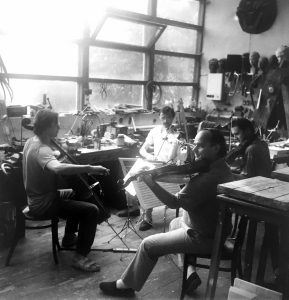 This would also include a joint performance of Beethoven’s quartets in Tonhalle (Zurich, 1984), where the Dolezal Quartet performed alongside Amadeus, Alban Berg and Julliard Quartets. Highlights would be also a live broadcast of their performance at Montpellier festival by Radio France (France, 1990), as well as their joint concerts with pianist Josef Palenicek at Bohuslav Martinu Days (Paris, 1990) and Josef Hala (Japan, 1993). The Dolezal Quartet has also been regularly perform-ing at Prague Spring International Music Festival. In 2003, after the gala concert in Dvorak Hall, Rudolfinum, which commemorated their 30th anniversary, the founding members of the Dolezal Quartet concluded their career and passed their name on the succeeding generation of musicians, who have been carrying on its legacy.